Enjoy non stop Hindi and Nepali songs every afternoon from 2 to 3 PM with our host Suraj Shrestha. Some of the popular Nepali as well as Hindi songs will be played live on Image FM during this show which is guaranteed to make your afternoon a GOOD AFTERNOON. Aajako Sandharbha is one of the oldest and the longest running talk show of the nation. Currently Saroj Adhikari, Rajan Kuekel & Sanjeev Regmi moderates this program. Every day this program welcomes one guest representing different sector (politics or industries). In other words, this is a talk show in which a political or a social personality is interviewed to comment and analyze on the top news stories or the public current affairs. Subha Din is running live in the Image FM since the past 14 years making it one of the longest running FM show of Image FM. Subha Din is the flagship show of Image with highest TRP and fan followers. Currently Subha Din is hosted by Priya Thapa, Naresh Bhattarai, G.P. Timilsina, Vivek Singh Thakuri and Sugarika KC and only two of them host this program at one time. Everyday they shines a spotlight on the deep pool of current issues which is affecting one of the part of our daily lives. Generally, they put forward their views on society, politics, government, school or college, sports, etc. related topics and wrap up the program with positive message for the listeners. 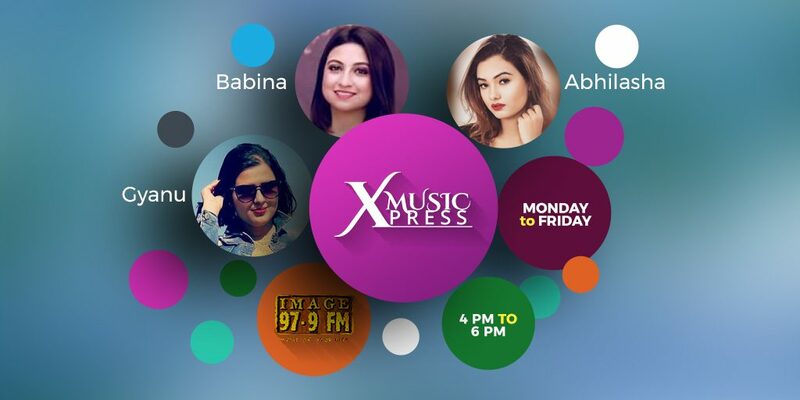 Music Express is entertainment based programme where our hosts Babina Poudel, Shiwani Bhattarai, Gyanu Adhikari & Smarika Sharma play dancing numbers for the listeners. This can be the programme if you guys want to freshen up your mind with the power of music every evening. One of the oldest shows on Image Fm 97.9 which is being hosted by Chirag Bangdel, this show goes live every Monday 8 to 9 pm. This program plays the best of English music old and new. The program takes in calls and discussions take place between host and caller about issues, social issues, focusing more art, culture, creativity and current affairs. Guests are always welcomed in this show. Over the years, this program has been an excellent platform for young people with talents. At the moment it is being sponsored by Close Up. Image pop is a total Nepalese music industry promoting program in which our host Suraj Shrestha discuss things on Nepalese music industry. 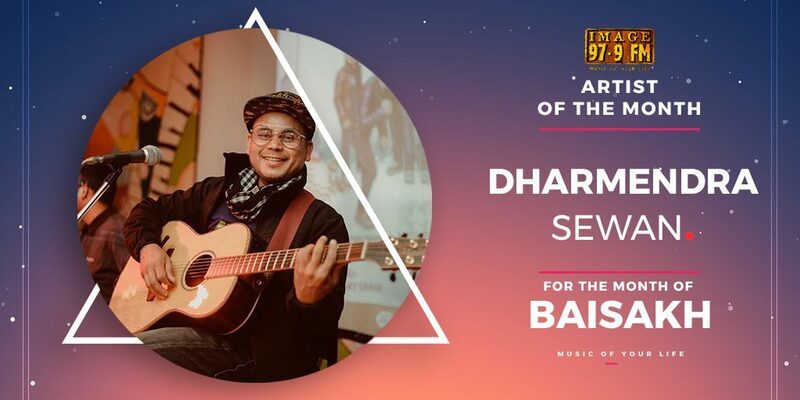 Basically this is the very program on which Nepalese music lovers can learn about the latest and up-to-date news, views, reviews and gossips of Nepalese music industry. Things like which songs and albums were top and which were flops etc will be discussed here. Hosted by Image FM's phenomenal host Chirag Bangdel, Tuesday Noise goes live on air every Tuesday 7 to 8 pm and the plays “the best of loud music and fast music”. The genres could include anything from hip hop to rock’nroll. The other slogan of the show is “ the show goes out to all the party people who can’t wait for Friday night to party”. Conducted in a fun way, telephone calls are entertained and callers get to shout out to their loved ones. Once a month, the show also features The Artist of The Month on Image Fm 97.9. Inside Story is a program which runs twice a week every Tuesday in which our phenomenal host Krishna Acharya interviews one of the popular celebrity from different sector. The topics of interview revolves mainly on their past life and the struggle they've to deal in getting their success in their particular field. Audience can learn the inside story of their favorite celebrity from this program which they've not shared it anywhere. Every week on Sunday our host Suraj Shrestha put forwards countdown of some of the latest Nepalese songs and music live on Image FM radio. Offcourse there will be some news and gossips that is going on the Nepalese music market as well. This is a total musical program which can be one of the most entertaining show for the Nepalese music lovers. Need an advice on the health or beauty tips or do you have any problems relating to beauty and health. Then dont go anywhere, just listen to this awesome show called Shringar every week on Wednesday. Our lovely host Paru Pahari will be there to give you all sorts of tips necessary relating to beauty and health. You can even send her mails regarding your issue and it might be answered live on the program as well. Perhaps the craziest FM show of the nation, the show is presented by two co-hosts, Chirag Bangdel and Susma Rai. This program has been very popular over the years and plays the newest of Nepali, English and Hindi songs. Telephone calls are entertained and topics of conversation include a wild range of “crazy topics”. Wanna know more just give them a call or listen them live on the broadcasting period. Cinema Bazar is a total Nepalese film industry program where our phenomenal host Shyam Aryal discuss on the things related to Kollywood. Audience who would like to get informations regarding Kollywood's news and gossips can listen this program. Nepalese films who were hit and who were miss along with the actors and actresses, songs and singers etc all will be discussed here. Tareli is a program which is broadcasted with the view to discuss on the topics related to social issues. Our experienced host Sharad Raj Gautam runs this show every week on Wednesday and put forwards his thoughts on social issues. Through this program Tareli wants to aware its audience about these social issues and help them tackle the problem with ease. A Nepali program where true stories sent by the audience is read in a format of “Geeti Natak”. Every Thursday and Saturday twice a week Dear Kalyan put forwards touching real life stories of the audience. You will get to listen heart touching stories of a stranger along with some touching nepali background music. The way Dear Kalyan runs this show is truly a masterpiece. A program that plays love songs and talks about matters relating to love and romance. Vivek takes you all to the sweet romantic atmosphere with overwhelming love songs from his collection. This show is for the ones who wants to listen about the matters relating love and romance. Ek Aapash is just not only a show, in-fact it is more. Every friday our exceptional hosts Paru Pahari and Gyanu runs Ek Aapash on Image FM which not only just airs on the radio but also does something more. It is a family program that invites people with family relations and put forward their success stories along with the family support. This show is very helpful for the families since this offers the valueable relationship maintaining tips. New Nepalese songs from pop, modern and Nepali Movies are launched and released to the audiences. Comments and critical appreciations of the songs are also provided. Golden Hits features the best of evergreen songs from Bollywood movies. Hosted by Icchya Gurung Shah, each one-hour program is full of music, fascinating facts about the song, film director, artists, as well as stories, gossips and inside information about the Bollywood. Jump start your weekend with Golden Hits. Lux Show Case is totally dedicated to the fans and followers of Nepali Cinema. Every Saturday our senior radio journalist and one of the popular media personality Mr. Shyam Aryal host this program and discuss on the things like news, views and reviews of Nepali Cinema. Basically this show is all about gossips related to Nepali Cinema. Every saturday our lovely host Paru put forward this enjoyable program live on the Image FM. Basically this is a music related program. Lok Bhaka is one of the most successfully running program of Image FM which is being hosted by Krishna Samip. This is the very program which offers the chance for listeners to show their singing talent to all other audience. All they have to do is dial the number and they'll be able to sing the song they want live on the FM radio. Of-course you can have a little bit of chit chat with our talkative host Krishna Samip Subedi. Sahara Tapaiko is a complete physio therapy program which is being hosted by our host Paru Pahari. This programme runs live on Saturday in which doctor interview the patients and answers all their queries. If you are a patient and are in need of some suggestions on the topic of physio therapy then this can be the ideal solution. Nirnaya Shrestha one of the most popular singer and songwriter of Nepal put forward this program every evening on Saturday. Does topics related to science and tech interests you? Would you like to listen some mindblowing facts about science and technology? Then, every Saturday tune onto our radio for our lovely talkative host Grishma Rajbhandari who will be hosting our show Bigyan ka Kura. This is the program that you are looking for since, this show is all about science and tech. You'll be amazed to hear some of the things which you've never heard before. MOST WANTED features the best of the mid old hit hindi songs. Hosted by Paru Pahari, each one-hour program is full of Hindi music where listeners can phone call to the program live on their number and interact with the RJ. They can request a particular song (if it is available) and dedicate the song to a particular person leaving a short message for them as well. A program where our astrologer Dr. Suneel Sitaula provides counsling to the audience with reference to their "janma kundali" and "vastu". If you know your date of birth, time and all and curious about what will happen in your near future according to the astrology then take part in this programme. In simpler terms here Dr. Sitaula answer caller’s query related to the astrology. Do you have a problem which is haunting you alive each and everyday? Do you want some expert advice on the particular matter? Then what you can do is call live on the studio of Image FM live on every Sunday evening where our host Dawa Thendup Sherpa will be there to listen all your worries. Not only that he'll also give some expert advice on the particular problem as well. Whether it is a family matter, or about love and romance, business or personal, Dawa will be there to tackle all your problems with an expert advice.